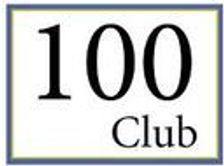 The 100 Club year runs from 1st September to 31st August. Three winners are drawn monthly and are announced on the website and in the AGEnda Newsletter. More than one number can be allocated to each applicant if desired. Membership is £12 per number/per year, payable by Standing Order, Cheque or Cash. After deduction of expenses half the proceeds are restricted to prize money, the balance to Network Core Funds.